Working near electricity exposes a person to many dangers. Electricians perform their work very carefully since they know that they are surrounded by hazards, which may lead to serious injuries or even death. Arc flash is one of the risks involved in working in places where electricity is involved. Arc flash is defined as an event that involves a flashover of electric current leaving the path that it is intended to take. The flashover travels from one conductor to the other through the air. It can also travel to the ground. According to a study that was conducted by National Institute for Occupational Safety and Health, arc flash can be because of unintentional bridging electrical contact with a conductor. Equipment failure; occurs when using parts that are below standard, due to improper installation, or due to wear and tear. When arc flash occurs, heat that goes as high as 5000 F is produced together with flashes of light accompanied by a very loud sound. When this energy is released, it may lead to burns, fire, flying of molten metal, blast pressure that goes as high as two thousand pounds per square foot, or noise of about one hundred and forty decibels (similar to the sound produced by a gun). Because of the frequency of arc flash occurrences and the dangers it brings with it, organizations that are responsible for setting standards like the National Fire Protection Association and OSHA have set new standards and regulations to minimize the risk. Back in April 2014, OSHA released a set of new rules that were addressed to companies involved in electric power distribution, transmission, and generation. The rules dictated that employees observe safety when working in areas where arc flash can occur. Today it is impossible to conduct any type of business without the use of electricity. It is the driving force from the offices to the factories. Every machine nowadays requires electricity to operate and there is no way we can do away with it no matter the risks and dangers it poses. What we can do is take precautionary measures and observe safety at all times. Hazard analyses determine the problems that are in a place and how to find a solution for them. Electrical hazards can be separated into two categories; low voltage and high voltage. If you are exposed to a high current, there’s a very low chance of survival without proper personal protective equipment. Shock can easily lead to death since the electrical current interferes with the muscles and neurons in the body. The heart will be affected and the person may suffer a heart attack. The heat produced by a high current is enough to cook a living tissue. This means that you might not die instantly but eventually. Arc flash emits heat of a very high degree and the temperatures are reached in a split second. Even with little or no contact with the conductors involved, workers can be killed by the blast. Low voltages are also dangerous. The injuries that low voltage causes can sometimes last for a long time even though they aren’t as lethal as those caused by high voltages. People exposed to low voltage electrical incidents have complained of chronic pain, numbness, and a “pins and needles” feeling. The regulations put in place require employees who may face a risk of electric shock injury as well as other electrical hazards to be trained on ways to protect themselves. Employees who have to be trained include electronic and electrical engineers, electricians, electrical technicians, industrial machine operators, painters, stationary engineers, welders, and industrial machine operators. Arc flash safety training is very important for anyone working near energized parts to avoid suffering from arc flash-related injuries. 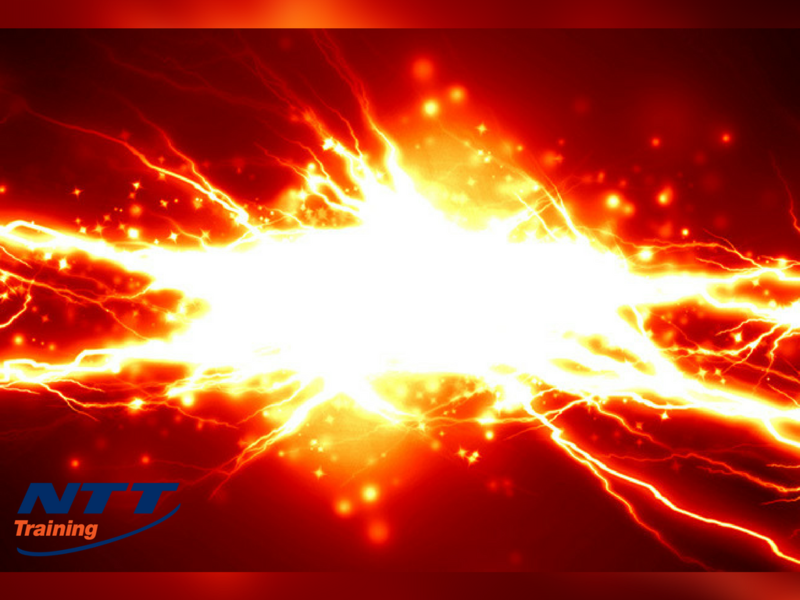 If you are interested in arc flash training, you can attend the arc flash electrical safety training seminar at NTT Training and learn all that you need to know about arc flash events. Contact us at any time to set up a seminar or learn more about how we can help your company be safer.